The procurement stage of the building process is critical to the success of any building project, and as such must be understood by everybody entering the industry. Introduction to Building Procurement is designed to familiarize the novice with the principles and methods of building procurement, starting at the most basic level. the roles and responsibilities carried out in any project. The concluding chapter discusses emerging procurement trends, and speculates on future developments to bring the reader right up to speed with the modern industry. 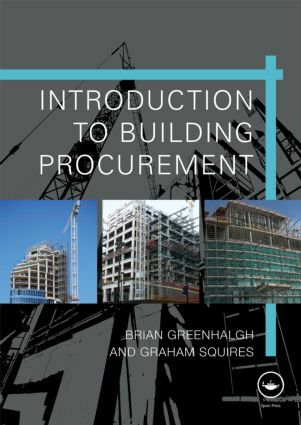 With its clear layout and highly accessible approach, Introduction to Building Procuremen is the perfect introductory text for undergraduate students and professionals starting out on a career in quantity surveying, construction project management or construction commercial management.